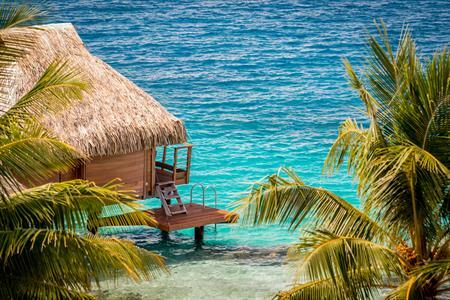 If you seek a romantic bungalow for your stay on Bora Bora, and want to be as close as possible to the lagoon, the traditional Tahitian Overwater Bungalows will meet your expectations. 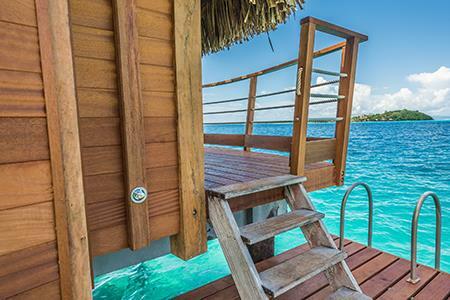 At the Maitai Polynesia Bora Bora, we have 13 Overwater Bungalows, each with a large bed decorated with beautiful local flowers. 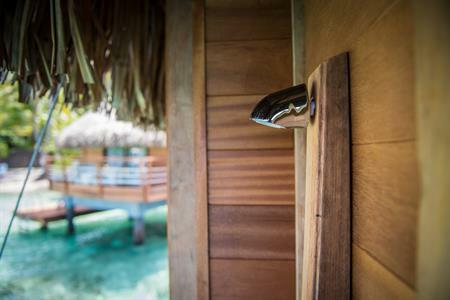 The Overwater Bungalows are also equipped with a glass coffee table for you to admire the underwater world just below your feet in a natural aquarium, filled with tropical fish, curious rays and other fascinating marine creatures passing by. 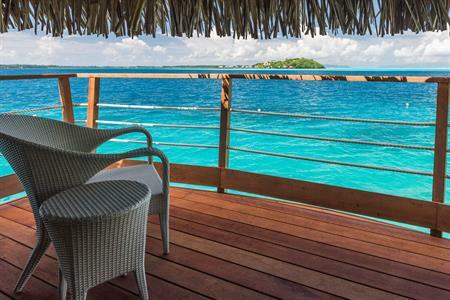 From your private balcony, you have direct access to the crystal clear waters of the lagoon. Other features of the bungalows include: coffee / tea facilities, bedside tables, wardrobe, stylish lighting, writing table and chair, ceiling fan above the bed, TV, international direct dial telephone, in-room safe, mini-bar and a spacious bathroom with separate shower and toilet, hair dryer and complimentary toiletries. 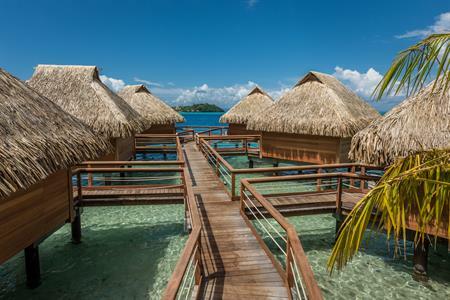 Overwater Bungalows at the Maitai Polynesia Bora Bora are also equipped with an extra sofa bed that can accommodate a third person. The bungalows are all equipped with air-conditioning plus a ceiling fan and maid service is provided daily.